This Summer I’ve visited Wakefield in Canada. I wrote this little story in my notebook after a walk with Ian Whyte, associate editor of The Ecological Citizen. He explained a lot about the area and it’s non-human inhabitants. The sound of axes that hack and falling trees fills the sky. 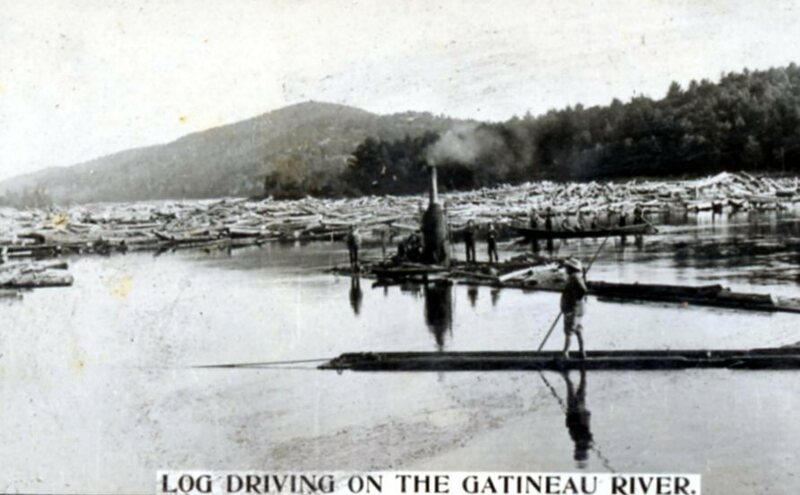 Thousands and thousands of logs are floating down the Gatineau river southbound to Ottawa. The newly clear cut land gives farmers the opportunity to make a living. During Winter, the men went out logging while the women stayed and took care of the kids in their log cabins. Life was hard: disease, cold, bad harvests, cabin fever… After some years the soil was depleted and there were no more trees left to log. The people took their possessions and moved elsewhere. A screeching door is moving in the wind. A boy by the name of Ian is staring at the ruins of the abandoned farms. Weeds are growing on the fields and small trees are growing, thus reclaiming their territory. Birds are singing, woodpeckers peck, a nature photographer from Europe is admiring the scene while swatting two mosquitoes on his leg. The forest is home to an enormous biodiversity: spruce, maple, oak, ironwood, wild orchids, mushrooms, hawks, deer, bear, beetles, bumblebees, reindeer moss and many more plants and animals. Human artifacts are overgrown of have disintegrated. Some silent witnesses tell the story of the land: rusty barbed wire, the occasional apple tree blends in seamlessly with the forest. 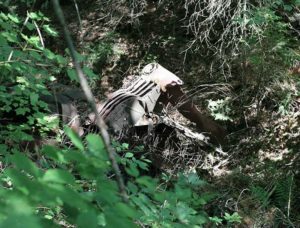 At the beginning of trail 53, Monsieur Therioux still has to collect his pickup truck that he left behind decades ago.. 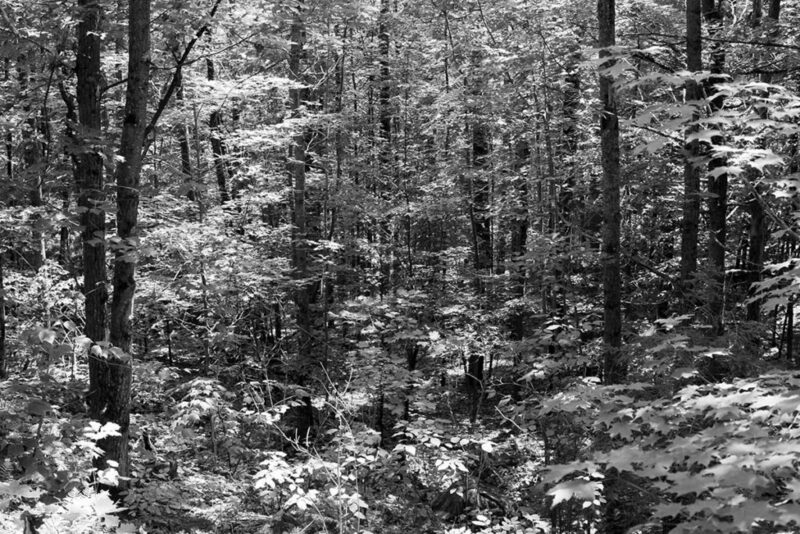 It took almost a lifetime for the forest to grow and the animals to come back. Over time, the forest will become richer and even more beautiful. Unless the history of logging and development will repeat itself. 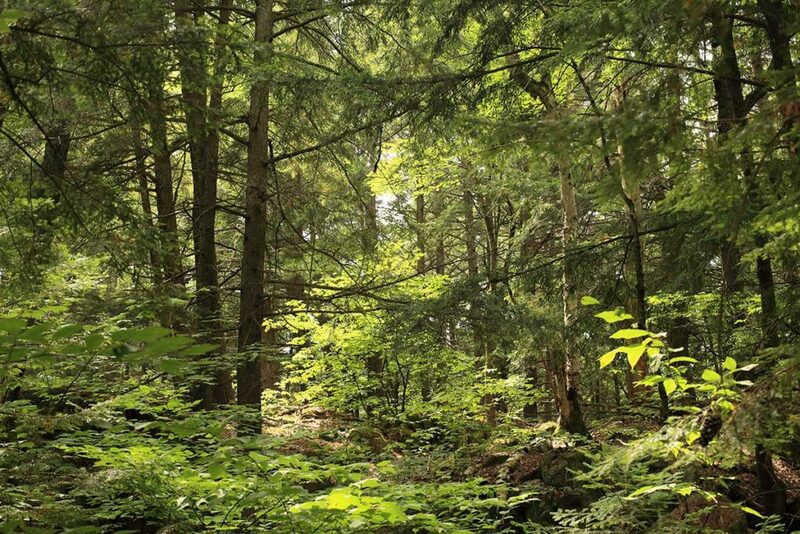 The Gatineau area near Wakefield is a forest with a protected status. However it is the only federal park that’s not protected by the National Parks Act, thus it is not prohibited to log and even build in the forest. In my opinion Gatineau should receive a more protected status – like a national park or forest – and therefore be saved from logging and/or development. So we and future generations can enjoy its beauty.